FFL was formed in 1984 as a non-profit organization. dedicated to providing free air transportation to transport blood. FFL works in cooperation with hospitals, blood banks, health-care agencies and private individuals. We do not fly patients. Please do not make requests for patient flights. FFL members are men and women volunteers who come from many different walks of life. We have doctors, airline pilots, ex-military pilots, business people, engineers, etc. All donate their time, skill and aircraft free of charge. They receive no compensation for their services. 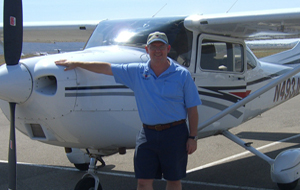 The cost of operating the aircraft is donated to FFL as a charitable contribution. 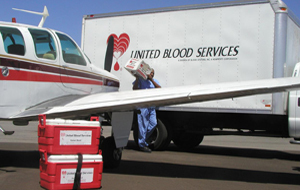 On a non-emergency basis, Flights For Life provides transportation of human blood, tissue and organs. 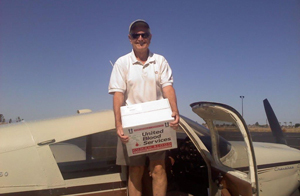 FFL provides emergency transportation for human blood on an "on demand" basis, to replenish hospital reserves. FFL provides this service continuously 24 hours a day, 365 days per year. FFL provides emergency transportation for human blood on an "on demand" basis, to replenish hospital reserves. FFL provides this service continuously 24 hours a day, 365 days per year. If you have any questions about our organization or what our mission is, please contact us. If you have questions about expansion into your area, please contact us. © Copyright Flights for Life. All Rights Reserved.